Eureka Springs is a mountain village reminencent of a European town and for the next two weeks, Eureka Springs will be home to some very talented European musicians. The CICA Music Festival is happening in Eureka Springs and will showcase performers, teachers, professors and students from Europe and across the United States. The festival includes The International Concerto Competition, various chamber music concerts and full symphony concerts, music courses, Suzuki method teacher training courses, workshops in violin history, construction and maintenance and more. Visit CICA’s website for more detailed information, locations, and times. The CICA Summer Music Festival brings international musicians, performers, teachers, and students to Eureka Springs. CICA stands for Chen International Cultural and Art Foundation. Founded by the grandfather of Thomas Chun yu Chen, Mr. Chen has organized the event and sees Eureka Springs as having “great potential for international events”. CICA believes that the best way to foster a vibrant community is through cultural enrichment. Learn more about CICA on their website. July 25-27th and August 1-3rd chamber music concerts will be held in Eureka Spirngs. Admission is $5 and students get in free. July 28-30 and August 3-6th Full symphony concerts will be held. General admission is $10 and $5 for students. To register for classes visit cica.org. 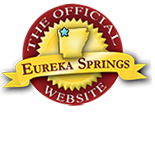 If you are staying in Eureka Springs overnight, find a great deal on lodging at the Official Site for the Greater Eureka Springs Region. See what else is happening while you are in Eureka Springs on the Official Calendar of Events. This entry was posted on July 25, 2011 by estcblog in Arts & Culture, Festivals, Musical Adventures and tagged classical music festival.